Everybody wants to play video slots like this 5 reel themed around baby dinosaurs! 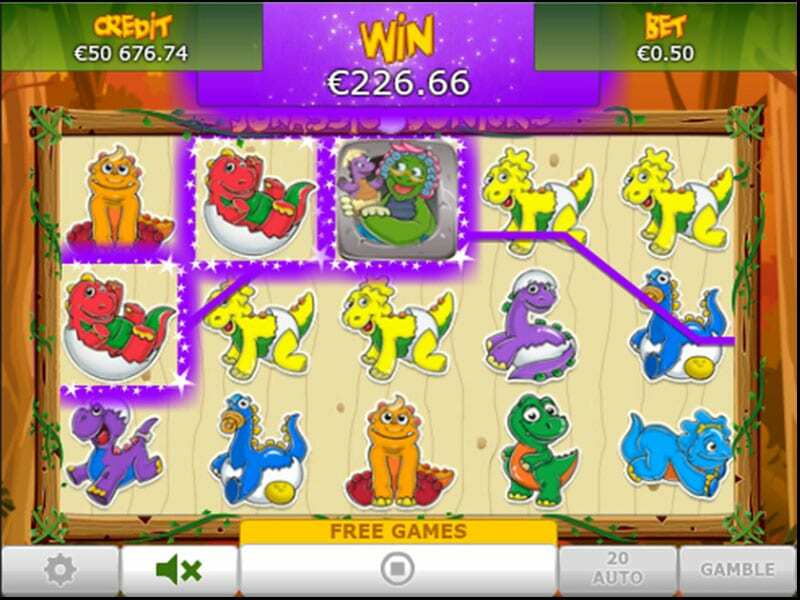 This online slot fits just the bill, with its array of colourful characters similar to the land before time. Be quick to play before they get wiped out. Eyecon games were founded in 1997, they swiftly began developing computer games, with their most successful game, Gore, receiving millions of downloads. Back in 1999, they began building online casino systems and online slot games. Their first slot game to be developed was Temple of Isis in 2003, which remains extremely popular to this day showing just how timeless the games that Eyecon create actually are. Fluffy Favourites was released back in 2006 and it is their most successful game to date but Jurassic Juniors certainly gives it a run for its money. Are you ready to be submerged into a forest background where tall trees, green bushes and volcanos inhabit the landscape? The reels are framed by a border made of logs and vines. You will see the colourful little Dino’s appear on a neutral cream coloured background when you play the best slot games. If you’re already a pro at playing online fruit machines then this game will be a breeze for you. Everything is located on one screen when you play Jurassic Juniors Slots. On the top of the screen, you will display the total amount of money that you have. You will also find the “Win” that displays the amount that you have won for a successful spin. As well as the “Bet” that reflects how much you want to wager. On the bottom of the screen, you will find the “Line/Bet” button, which you can select whether to play with all 25 lines, or choose the number of your choice. You will also see the “Spin” button represented by two arrows. Click this when you want to start spinning and winning! You can also sit back and enjoy the Prehistoric period by clicking the “Auto Play” button. You get to pick 10 to 100 games to play automatically that will spin through the number of games of your choice while you absorb the sounds and atmosphere of the prehistoric setting that overwhelms this online slot. Watch out for Dinomum, not that you could miss her! This Wild Symbol can appear anywhere on the reels. Not only can it substitute for all other regular playing symbols, but it also doubles all your winnings. When you land a number of Dinosaur Egg symbols on the reels, be prepared for some bonuses! In addition, with three or more of the Dinosaur Egg symbols anywhere on the screen, you will get 15 free spins. During these free spins, all your prizes will be tripled. Talk about a Triceratops payout! The Gamble Feature is an additional option in Jurassic Juniors Slots that is perfect for you if you enjoy taking more risk. The Gamble Feature is available after every successful spin. Upon clicking on the “Gamble” button, get ready to big up your winnings or lose them all. To win in this round, all you have to do is choose the correct answer from two possible choices. Jurassic Juniors is truly another great addition by Eyecon. If you enjoy dinosaurs or colourful cartoons, then you will enjoy spinning the reels of this slots game. This online slot game allows you to travel back in time to a prehistoric era where dinosaurs ruled the roost. Don’t fret though, there’s no chance of being eaten by any carnivorous beasts. All you need to do is sit back, relax and befriend these cute little dinosaurs. 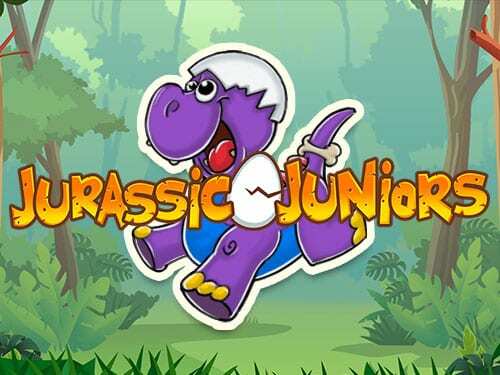 Jurassic Juniors is simplistic in its gameplay, beautiful in its design, and generous in its bonus features. Why not also try our chilli gold slot?